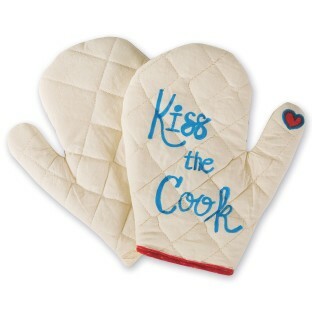 Great gift for anyone who enjoys cooking! A great gift for anyone who enjoys cooking! 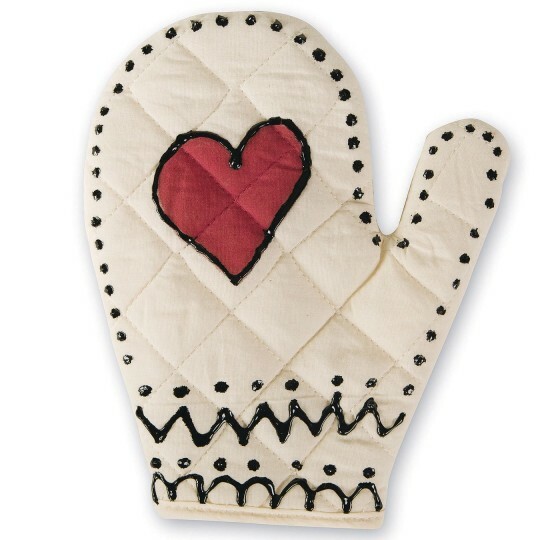 White oven mitt looks great when you add your own artwork! Personalize with fabric markers and paint. Decorating materials sold separately. Measures 9”H x 5”W opening. Quilted cotton.